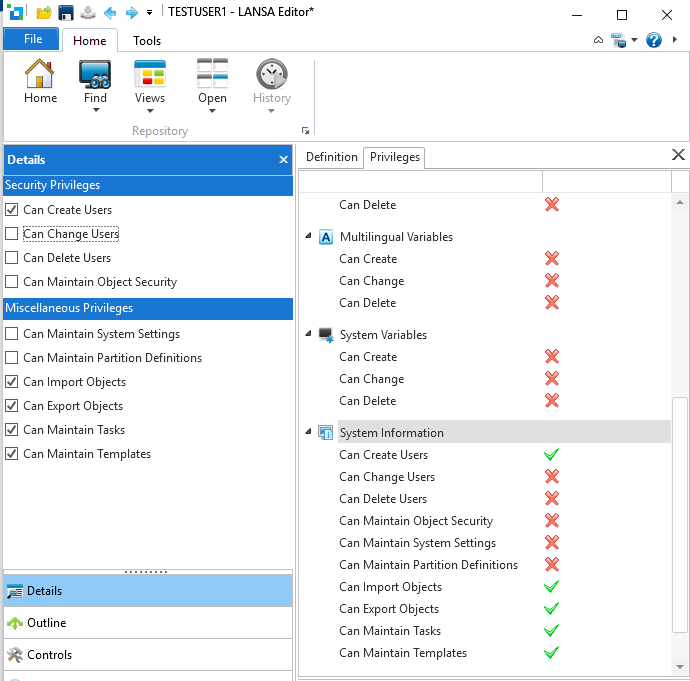 If using a Visual LANSA Master System, you can maintain the user's privileges from within Visual LANSA. The partition level setting User access enforced determines if the security settings are used. The default is off, i.e. the user access security in Visual LANSA is not enforced. Once this setting is turned on, the security settings listed are enforced. As you change settings, they will be immediately reflected in the Privileges tab.